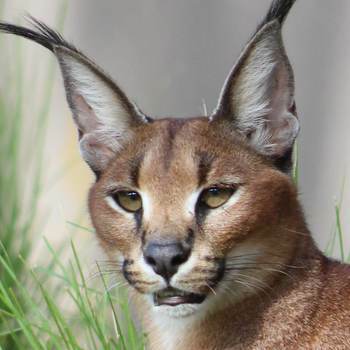 The most noticeable feature on a caracal is its ear tufts or tassels. These have many functions but the most important being they are used to make hearing more accurate. 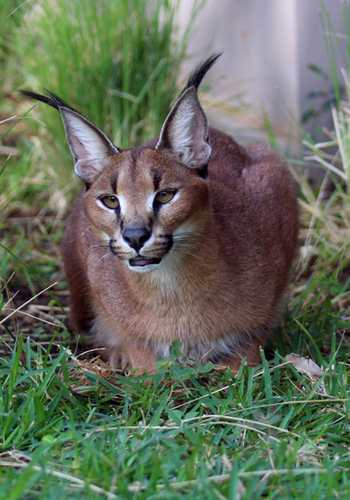 Caracal is the Turkish word that means “black-eared". 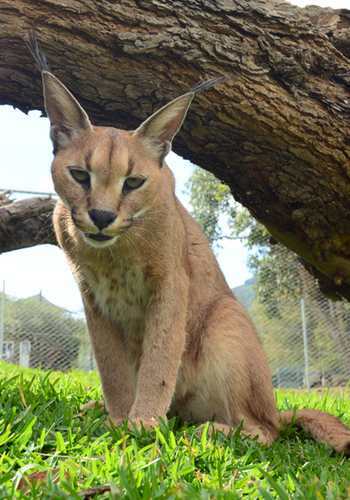 The caracal is also known as the desert lynx. The caracal hunts at night and mostly preys on mongoose, rodents, however it can hunt larger prey mammals such as impala. 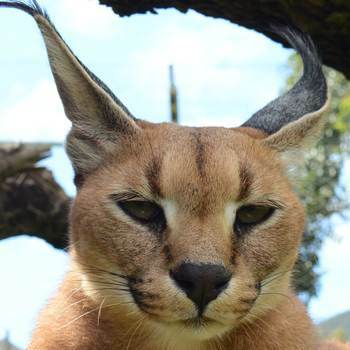 Our caracal are available for interaction as well. 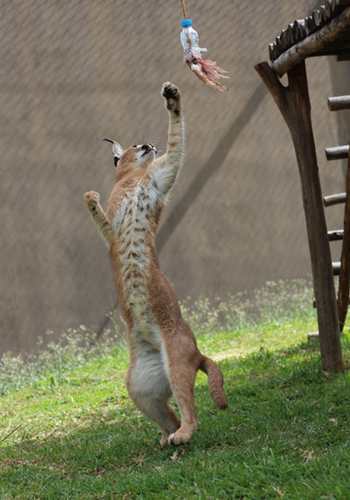 The interactions with the caracal start at aged 10 years. 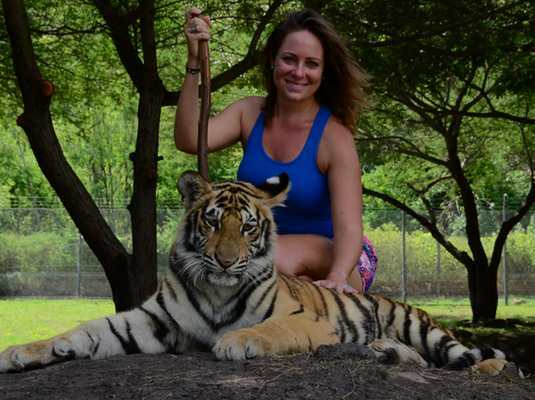 Any person under the age of 15 years must be accompanied by an adult. You must be taller than 1m 20cm. 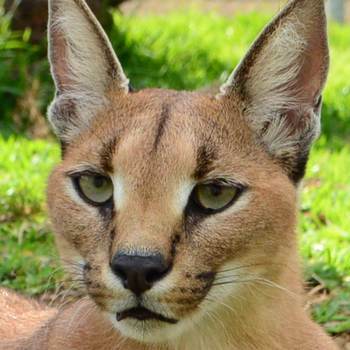 Caracal interactions will be held every day except on Sundays.